Creatives share their strategies for keeping the email beast at bay. Email. It started as as something wonderful; a magical way to communicate with others instantly, no matter where they were in the world. It would revolutionise the way we do business. Well, it did do that. However, it also opened a new whole world of pain and stress that no one really saw coming. 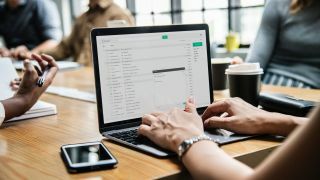 Having an email management strategy has become as vital to professional success as having an awesome design portfolio or knowing how to network. Read on for designers’ strategies for managing the ceaseless stream of email pouring into your inbox. You never know, Inbox Zero could be within reach. Not all emails are as important as others. “At work, I prioritise responding to urgent matters and those emails that have the potential to become blockers for others,” says Alberta Soranzo, a service designer at LBG Digital. Bukwild’s Jeff Toll checks his emails first thing in the morning, but doesn’t reply to anything that’s not an emergency. “I simply flag and organise response priority,” he says. “Once I get into work and have had a moment to think about my responses, I can knock them all out.” Then, throughout the day, Toll will flag any important emails that don’t require instant responses, and make sure he returns to them before the end of the day. Want to keep on top of what’s going on in the wider industry? Newsletters are a great way to stay up to date with the latest articles and discussions… but there’s no doubting they can clog up your inbox if you’re too busy to read them when they come in. UX designer Anna Dahlström suggests filtering out newsletters into separate folders. “I use additional +<something> combined with folders for my Gmail account, turning off notifications for that one but having them on for my business account,” she says. Inbox zero is great, but you can’t deal with every message the second it comes in or you’ll never get anything done. Digital art director Clara Ilena turns off her email whenever she wants to be productive. “Apps such as Slack, Todoist and Monday also help me to stay on top of things and keep unnecessary communication to a minimum,” she adds. Your inbox can very easily become a mess of different conversations and topics. If you can, sorting them into different subject folders can make things more manageable. “Whenever an email has been attended to, I file it away in a folder: project-related, team-related or committee/working group,” says Soranzo. As well as using filtering to make sure only the important stuff gets through to his inbox, Digital director Michael Salafia has a novel approach to keeping his emails organised. “I treat my inbox like a to-do list,” he explains. “I read with surprise but amusement someone’s recent OOO strategy: ‘I won’t read your email. Please email me again when I’m back if it’s still important’,” recalls digital director Kate Tarling. This slightly controversial approach seems to be gaining popularity. While not all messages are as blunt as this one, it’s not rare for creatives to set an OOO message at busy times, explaining that they’re not checking their emails and the sender is unlikely to receive a response. This article was originally published in net, the world's best-selling magazine for web designers and developers. Buy issue 307 or subscribe.